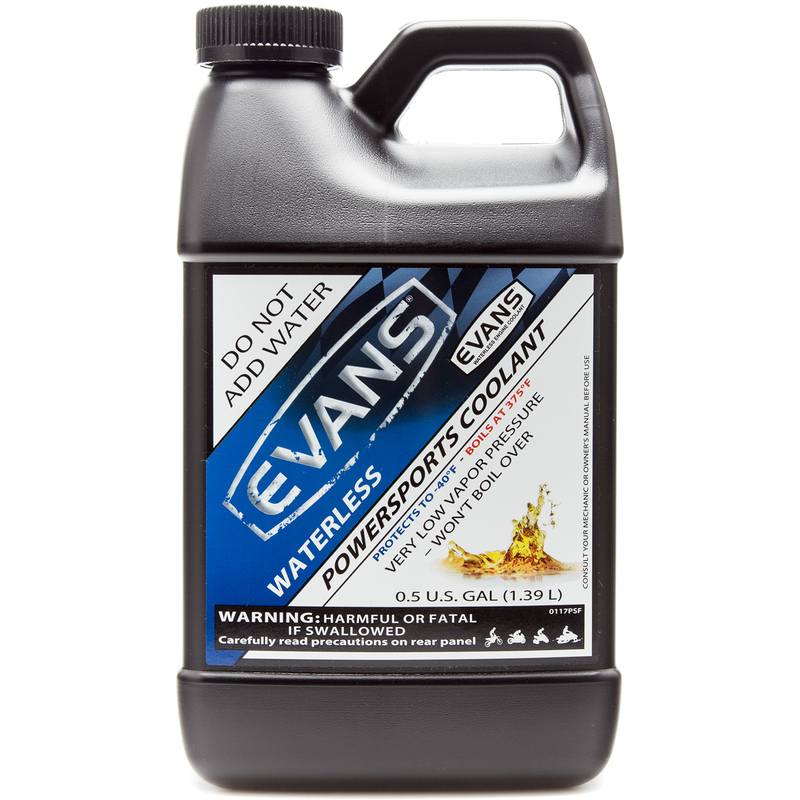 Evans Powersports waterless coolant. Engineered specifically for Powersports equipment. For use in motorcycles, ATVs, UTV's and snowmobiles.